There's no drum kit required for this DVD. 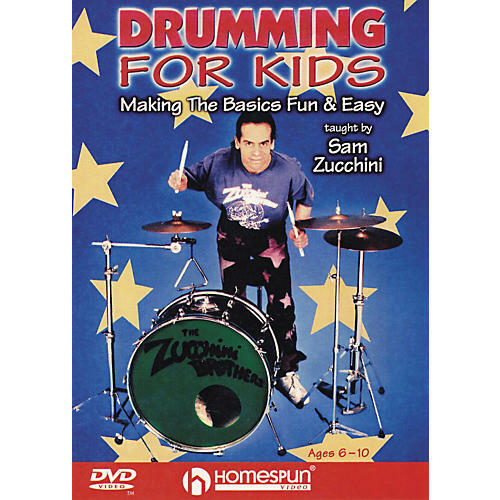 Sam Zucchini makes drumming fun and easy with his lessons on how to keep time, count beats, understand rhythm, and play in an ensemble. Award-winning children's entertainers The Zucchini Brothers join in on guitar and keyboards so the young drummer can play along with the band. Level 1: Novice-No prior experience on your instrument is necessary. The instructor starts with the assumption that this is your very first lesson.